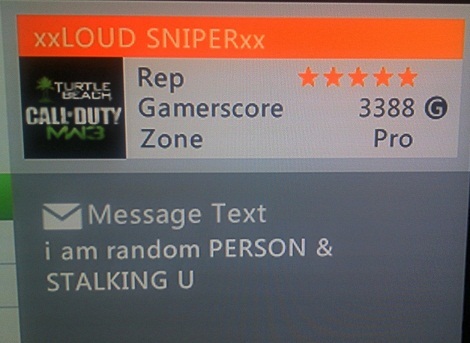 I imagine someone with a Gamertag of xxLOUD SNIPERxx actually being very poor at stalking. zombielord24 informs our submitter as casually as a guest using the host’s driveway. 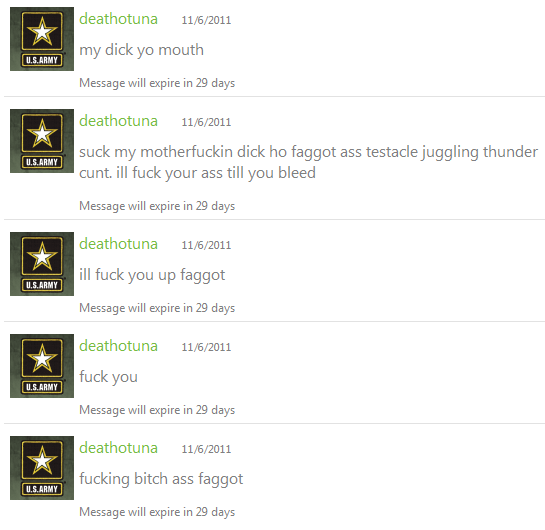 Sounds like deathotuna is using mass-messages to save time and effort. Very efficient! No, really. 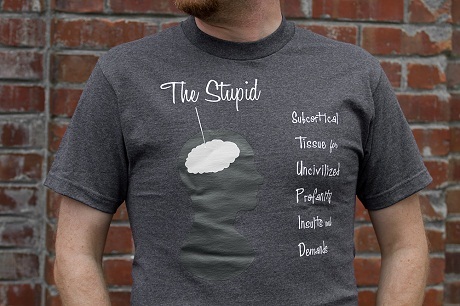 We would love it if you BUY THE STUPID T-SHIRT! The STUPID t-shirt is a companion piece to the following educational film. Additionally, we’d like to announce our poetry contest winner: Karissa! Sorry for the delay, but we wanted to pair your prize with this t-shirt announcement. Because… YOU WON A T-SHIRT! See how that works, there?